Q. Rachel made my day! 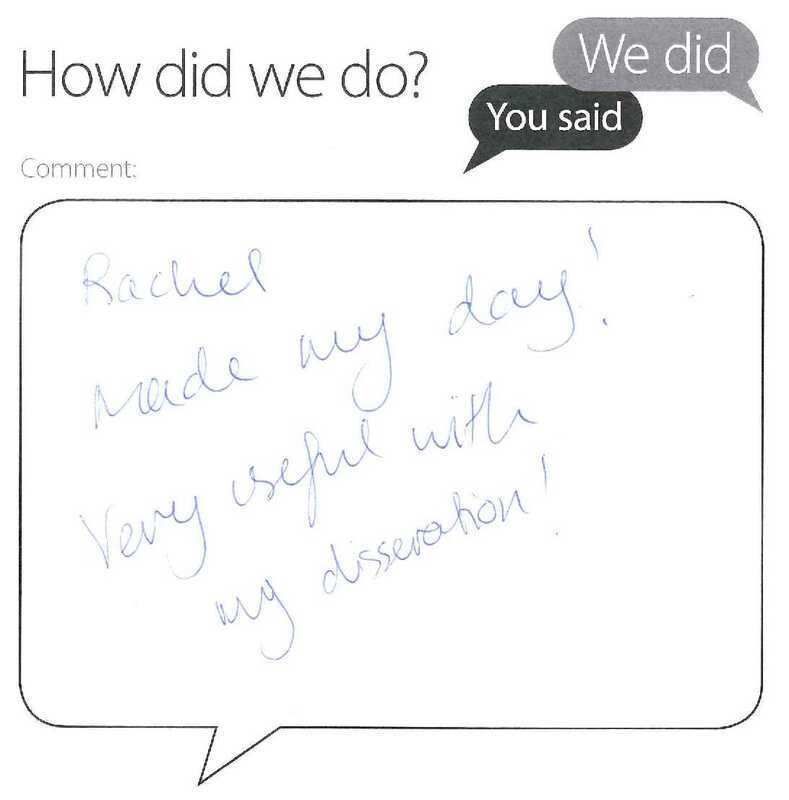 Thanks for your You Said/We Did comments card last week and for your kind words about my colleague Rachel. It’s all too easy for people to complain when they’re unhappy and I think we sometimes forget to take the time to pass on praise or compliments. So thank you for going out of your way to do this. I’ve let Rachel know about your feedback and have thanked her for her excellent contribution to the work of the Library.